The swirls can be interlocked together or overlapped to create all-over effects. Or repeat regularly in rows to create borders or strong geometric patterns. 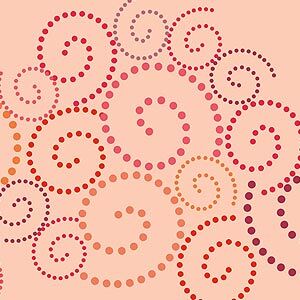 To overlap the swirls simply use masking tape to mask off the dots on one of the overlapping spiral sections – this will make it appear as if it is behind the first swirl. 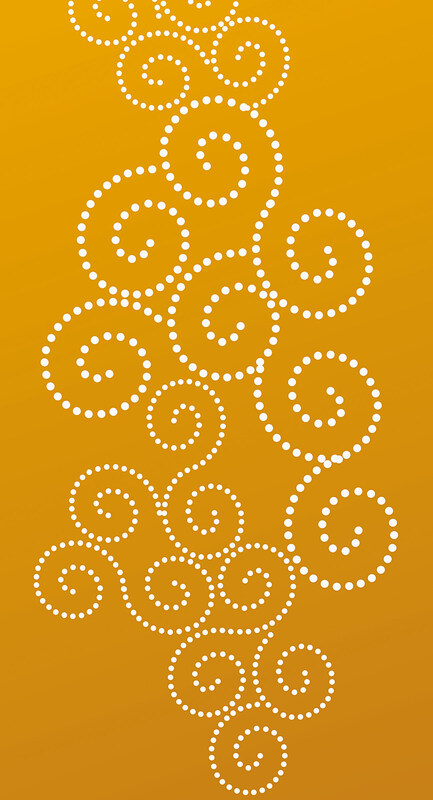 Above top – the medium sized and small sized swirls stencilled in a group where the swirl is stencilled one way and then rotated around with the ‘tails’ joining and others tucked in closely. This effect can be applied randomly over a whole wall surface. Stencilled in Ice White on an egg yolk yellow background. Below – a similar layout with the stencil being applied in Raspberry Stencil Paint on a pale blue background. 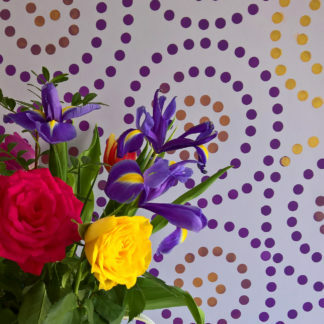 The Dotty Swirls are equally effective stencilled regularly in rows to create borders or strong geometric patterns and shapes. 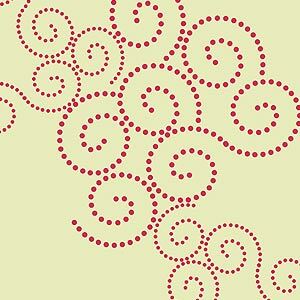 Above – the three swirls of the Dotty Swirls Theme Pack stencilled in different horizontal alignments to show different possible border layouts for this stencil. 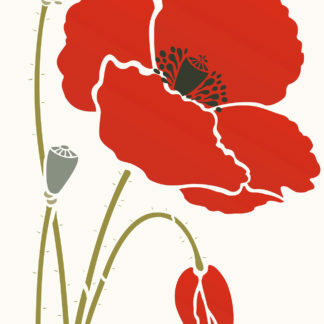 In Ice White on a raspberry red background. 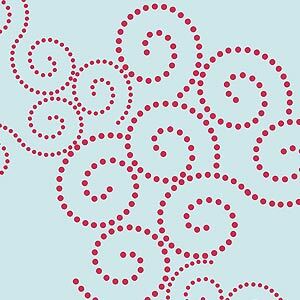 Swirls are great decorative shapes – use these dotty versions to create either bold or subtle finishes depending on colour treatment and layouts used. 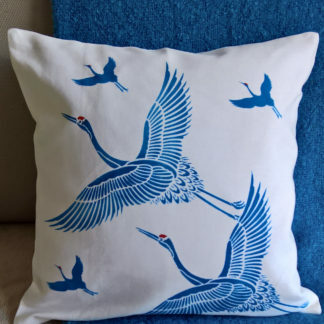 Use contasting colours and continuous pattern density for intense effects or subtle close-toned colour combinations or white on soft colours for subtle finishes. 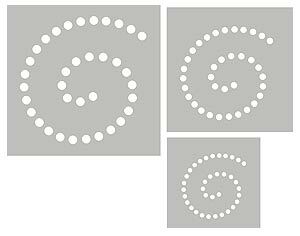 See also the Small Dotty Spirals Stencil, the larger Oversize Dotty Spiral and our circle stencils the Dotty Circles Stencil Theme Pack – as well as the Circles Theme Pack Stencil and Outline Circles Stencil. 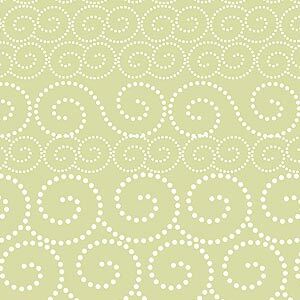 Above – the three swirls of the Dotty Swirls Theme Pack stencilled upright in a random pattern in Ice White Stencil Paint on a chalky green background for a simple contemporary effect. 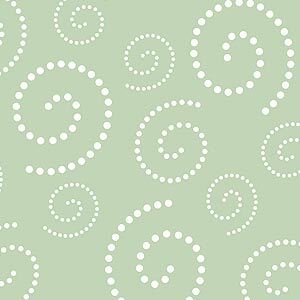 Above – the three swirls are rotated and stencilled randomly on a very pale green background to create this soft and irregular feel. 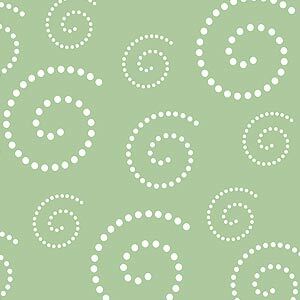 Above – the three swirls of the Dotty Swirls Theme Pack stencilled in a close random pattern where the different swirls are rotated and tucked in close together. Stencilled in Ice White Stencil Paint on a rich ochre background. Above – the medium sized and small sized swirls stencilled in a group where the swirl is stencilled one way and then rotated around with the ‘tails’ joining and others tucked in closely. 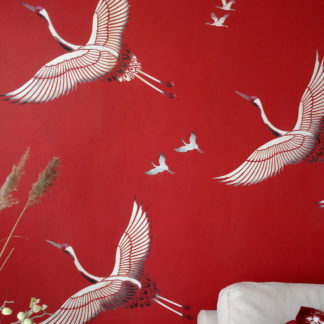 This effect can be applied randomly over a whole wall surface. Stencil applied here in Raspberry Stencil Paint on a pale moss green background. 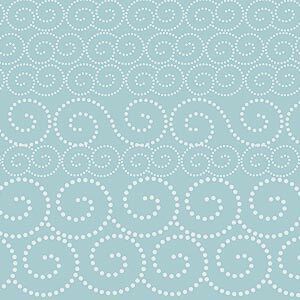 Above and below – the three swirls of the Dotty Swirls Theme Pack stencilled in a close random pattern where the different swirls are rotated and tucked in close together. 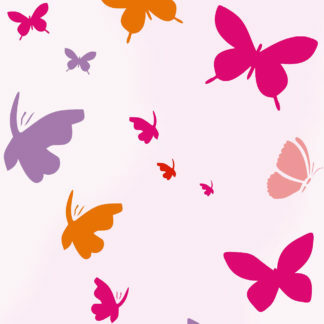 Stencilled in Very Berry, Azalea, Damask Rose, Plum Blossom, and Seville Orange. Above – on a pale blue background. 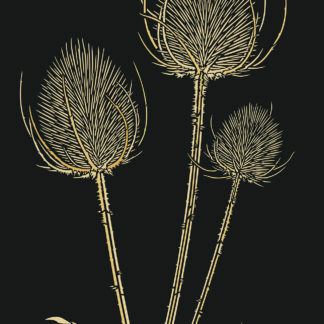 Below – on an apricot background. 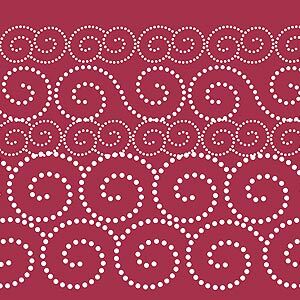 Above and below – the three swirls of the Dotty Swirls Theme Pack stencilled in different horizontal alignments to show different possible border layouts for this stencil. 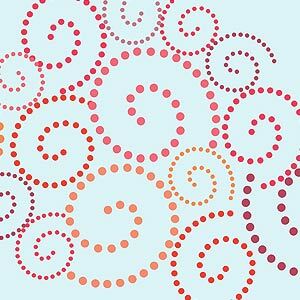 This three sheet stencil theme pack comprises three different sized dotty swirl stencils on 125 micron mylar. 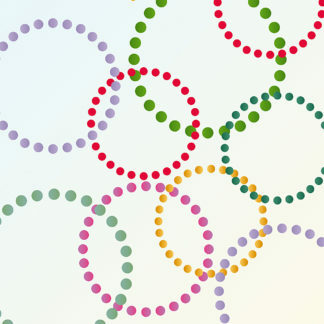 The dot sizes range between 32mm/1 1/8″ and 16mm/5/8″. 1. 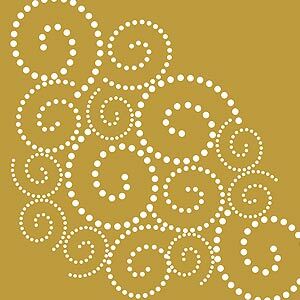 Approximate width and depth of the largest swirl is 48cm/19″ on a sheet 59cm x 58cm. 2. Approximate width and depth of the largest swirl is 36cm/14″ on a sheet 48cm x 49cm. 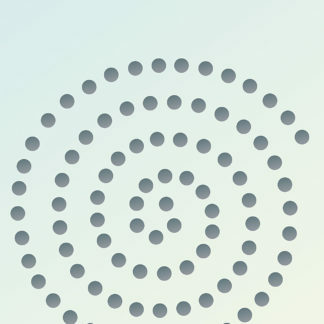 Left – the three stencils of this theme pack showing the three different sized swirls.